Look at all this great biggerKrissy Crap! 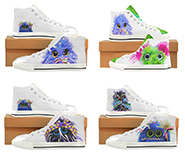 Pillows, purses, LIGHT-UP high tops and more! 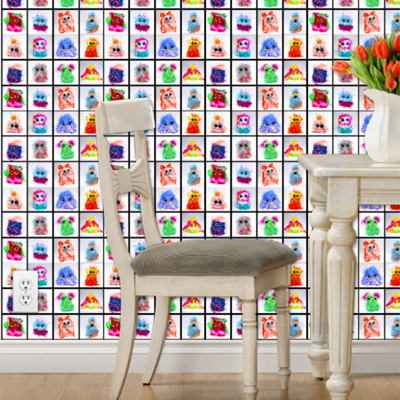 And if you see something on the site you like, let me know and I'll do a custom design. The biggerCritters book has happened! And It Can Happen to You! 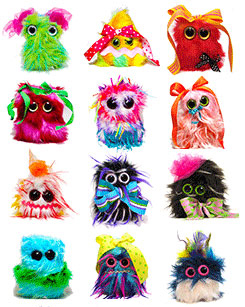 These aren’t your kids’ stuffed animals. Unless your kids are sloppy, lazy bigots. Over the years, tens of people have fallen in love with the biggerCritters, the garbage plush residents of a little-known hamlet in Angst County. 1. They are all one of a kind. Even their names are all unique. Some might say too unique. But not you. You love them. 2. biggerKrissy guarantees each one to be even plushier, cuddlier and cuter in person. Unlike biggerKrissy, who is much saltier in person. Nope, even saltier than that. 3. Each is handmade by biggerKrissy. Otherwise you'd be at LotsOfPeopleMakeThese.com. 4. 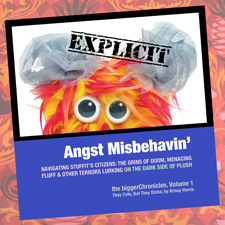 Right now you can't actually buy any biggerCritters because Angst Misbehavin' has taken over. Soon. Contact biggerKrissy if you are in dire straights and need a biggerCritter fix. 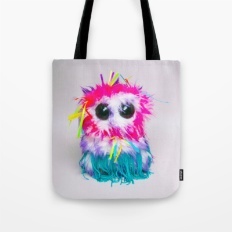 You seriously need a biggerCritter tote bag from Society 6. How do I know? I've been practically living in them for the last few months. 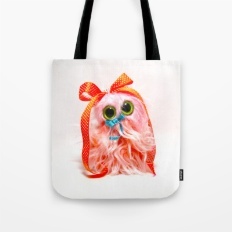 I make about $2 a bag, so buy them for everyone you know. Thanks. © 2002 - 2018ish, A biggerKrissy Jerk. All rights reserved. 2002? What!